As part of this process Microsoft has been working to optimize its desktop app equally well for touch and for mouse/keyboard input. Those efforts basically rendered the modern Skype app obsolete. Microsoft is going to pull the plug on the modern Skype app on July 7. Anyone who tries to run the app after that will open the regular desktop app instead, or will be directed to download it from Skype.com. The Windows Skype client has gone through deep changes lately and many people dislike it for those as it looks closer to the modern app instead of the previous desktop versions. Still, it seems Microsoft is happy with its performance. 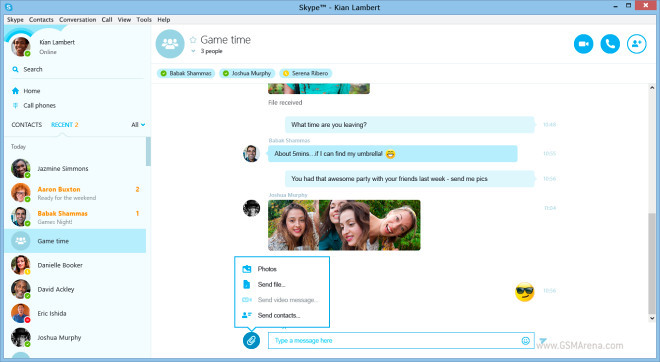 This change affects only the users running on Windows 8 and using the modern Skype, instead of the desktop version. Everything else remains the same.